Designed to efficiently convert 120 volts AC into 13.8 volts DC(+/-.5V). 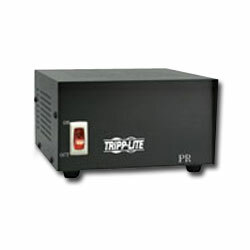 Ideal for commercial/land-mobile, and CB radios, test bench supplies, tape players and amplifiers. Crowbar Protection on units 15-amps and larger. Voltage input: 120V AC, 60 Hz. Output: 13.8V DC.